Small Business Affected by Burdensome Federal Government Regulations? As the Federal government agency serving the needs of small businesses, the U.S. Small Business Administration’s Office of Advocacy is interested in hearing from small businesses owners in Fresno and the San Joaquin Valley about the impact of federal regulatory issues on this region’s small businesses . On Monday, February 11th, at 1:00 pm, please join the SBA’s Office of Advocacy and the Fresno SBA District Office for a listening session about federal regulations that are affecting your small business. This is event is free, however advanced registration is requested. 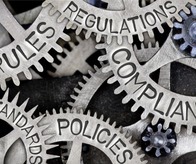 - Which regulation and which provisions are affecting your business? - How you measure the burden of the regulation? - How much it is costing you and in what specific ways – such as added payroll costs, hiring lawyers or consultants, etc.? The listening session will take place at the Fresno SBA District Office located at 801 R Street, Suite 201 (corner of R and Inyo) in downtown Fresno. There is free street parking for this event. Space is limited so please register today.